That does seem like a good idea, let’s see if anything comes of it. Saw this on Oakfield Avenue in the West End of Glasgow, while heading for lunch. 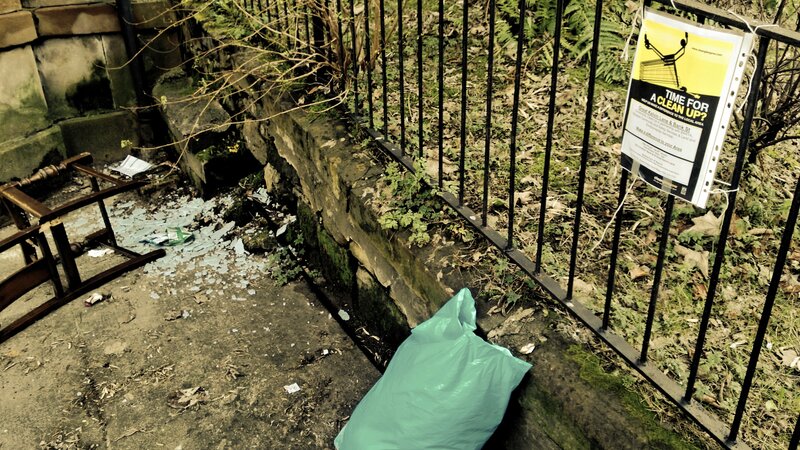 This entry was posted in 2013, Glasgow, January, Photos, Scotland and tagged 2013, 365 Photos, Broken., Clean, Glass, January, January 2013, Trash. Bookmark the permalink.